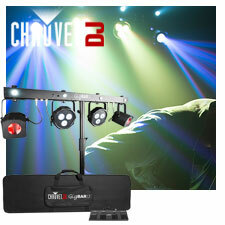 Chicago DJ Equipment Online Superstore - PARTY FAVORS AND ACCESSORIES AT THE LOWEST PRICES! 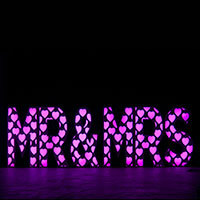 The Decor Mr. & Mrs. are 45" tall white colored letters equipped with over 800 RGB LEDs in heart shaped cut-outs. 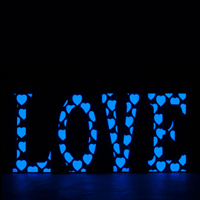 The Decor Love are 45" tall white exterior colored letters equipped with over 800 RGB LEDs in heart shaped cut-outs. 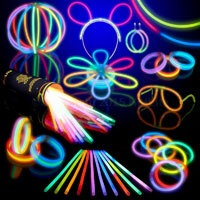 100 luminescent light bracelets. 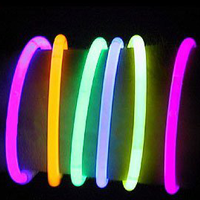 Each tube contains an even mix of 5 colors -- Blue, Green, Yellow, Orange, and Pink. 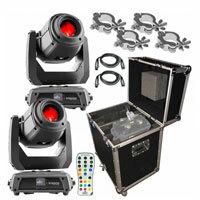 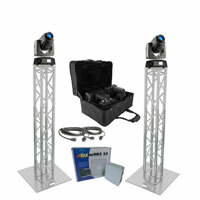 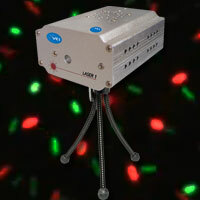 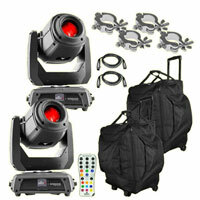 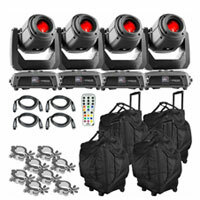 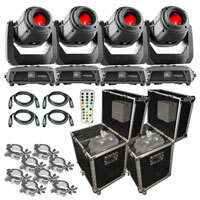 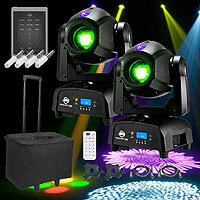 Super 7 magic color stage light with voice control. 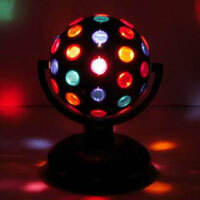 Red, green white purple orange and blue, white seven colors light just like the sunshine. 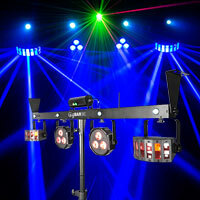 Best design for disco, ballroom, KTV, bar, stage, club, party etc. 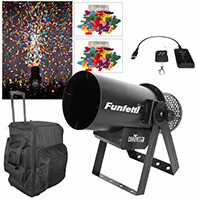 Set includes: 5 glow glasses kits, 5 pairs of earrings, 100 8" long premium quality glow sticks, 100 reusable connectors, a glow disc connector kit for creating a glow ball or 2 glow flowers, and 5 triple connectors. 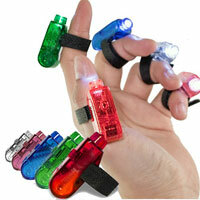 Perfect for any celebration, Makes a great effect when DJing, Use it as a party accessory, put on bottles, stick it on party glasses or just simply wear it on your fingers to create your own light show! 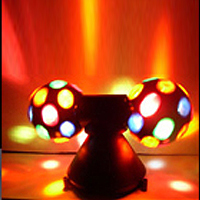 With the LED Light up Balloons your party will have a contemporary and hip look; everyone is going to be talking about it. 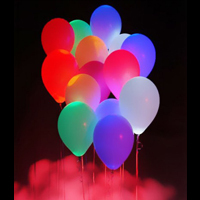 The LED Balloons can also be filled with helium or air filling; the balloons come in 10 assorted colors to make your party even more colorful. 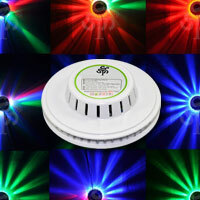 Available in cool white and warm white. 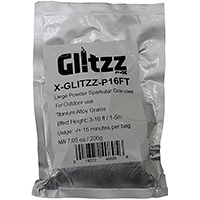 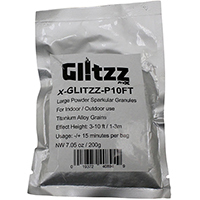 Have you ever wanted to add something special to a gift? 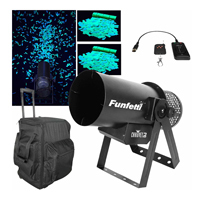 The Glowing Bow is Each bow is equipped with an LED light and fiber optics. 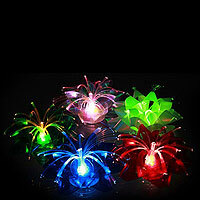 Perfect for Christmas, Birthdays, Mother's/Father's Day, Valentine's Day, Easter, Weddings, Graduation, and more! 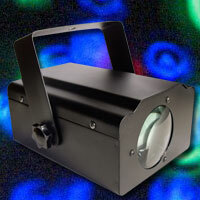 This rotating cylinder provides an attractive pattern of multicolored bars in a full 360° pattern. 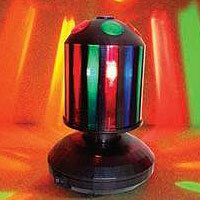 This large rotating ball provides an attractive pattern of multicolored spots in a full 360° pattern on two axis. 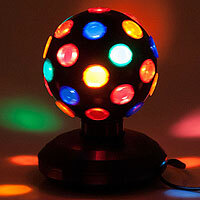 But with 5-inch balls. 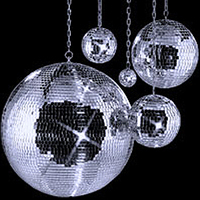 Can stand or be hung. 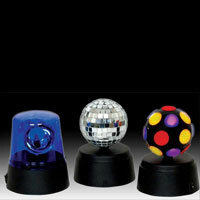 Great for parties and display. 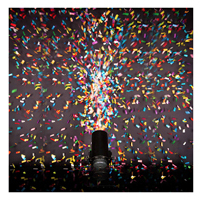 ETL and cETL Listed. 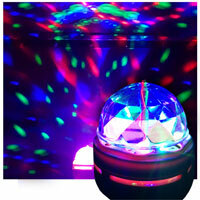 This huge Orbiting Gyroball turns 760 degrees and stands alone or can be hung, to create spectacular multi-colored spinning room effects. 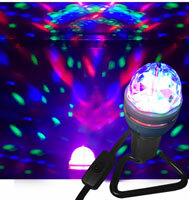 The Li'L Nebula LED party light bulb fits in a standard light socket and projects a dazzling light show onto walls and ceilings or in an overhead ceiling fixture to illuminate walls and floors.The Li'L Nebula can replace any standard bulb and create an instant party with an explosion of colors! 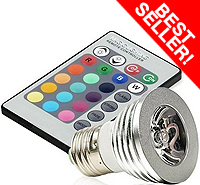 This extremely eye-catching light bulb can be set to over 16 colors at the touch of a button, with 5 different light intensities! 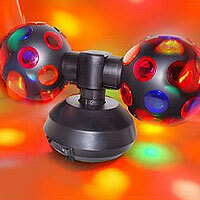 Make your party complete by getting our accessories at a reasonable cost. 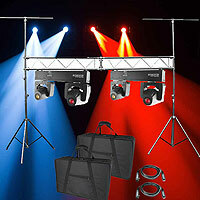 We have Pod systems, Visual Disco Balls, Goddess, Gyroball, Laser Effect equipments, LED accessories, Mirror Balls, Hand lights, Skull Speakers, Wall flower, etc from producers like Blizzard etc. 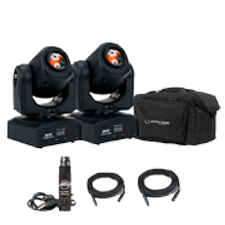 American DJ's Event Pod System is a set of four compact, lithium powered battery lightings that makes you experience the lighting excitement. 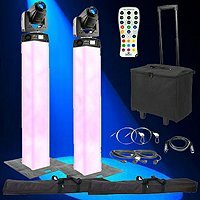 These are color changing with 8 built in colors and 3 selectable colors fade speeds managed by the hand held wireless remote controller. 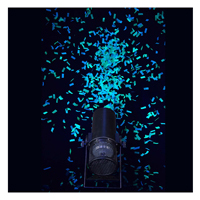 Each pod is powered by a single half-watt RGB TRI LED. 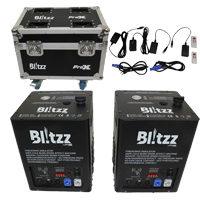 This supports temporary usage on the tables, walkways, windows and buffet tables in retail stores, restaurants, parties and events and can be set easily.